Posted on October 10, 2012 at 7:03 pm. 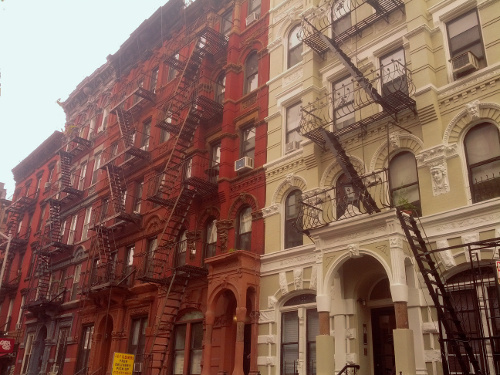 The Landmarks Preservation Commission voted on October 9th to create the East Village/ Lower East Side Historic District. Effective immediately, the new district will help protect many cultural resources, religious structures, and contiguous streetscapes that define our historic neighborhood. 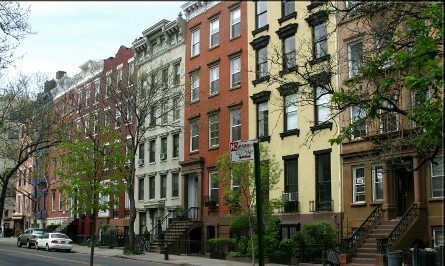 A comprehensive district had been long overdue in the East Village; previously, our only districts included the block-long East 10th Street Historic District (2012) and the St. Mark’s Historic District (1969, 1984). Thanks to the local and state elected officials, community groups, community board, and individual residents for their unwavering support. And we thank you for your attention throughout this long process. The commission’s responsiveness resulted from the urgency shown through your commitment, contributions, and testimony. We celebrate the overwhelmingly positive remarks from most commissioners during the vote, but our work is not complete. The Landmarks Preservation Commission unexpectedly removed properties along First Avenue from the proposed map prior to the vote. After years of advocacy and organizing, the district must be upheld in its entirety by the City Council. EVCC will work with Councilmember Rosie Mendez and other community organizations to be certain we promote each of the 300+ structures designated by LPC. Your support today will help us protect the newborn district and aid preservation efforts in other portions of the East Village. Posted on January 18, 2012 at 7:13 pm. The City’s Landmarks Preservation Commission (LPC) unanimously approved the East 10th Street Historic District on January 17th. This is only the second historic district in our community and the first since the St. Mark’s Historic District passed in 1969. We would like to thank City Councilmember Rosie Mendez for her help in establishing this district and her ongoing work to protect our neighborhood’s architectural integrity. We would also like to thank Senator Daniel Squadron, Assemblymember Brian Kavanagh, and Borough President Scott M. Stringer for testifying in support of this district, and Community Board 3 for passing a resolution in support. Finally, we would like to thank our neighbors and neighborhood preservation organizations for their help. Our work is not done. 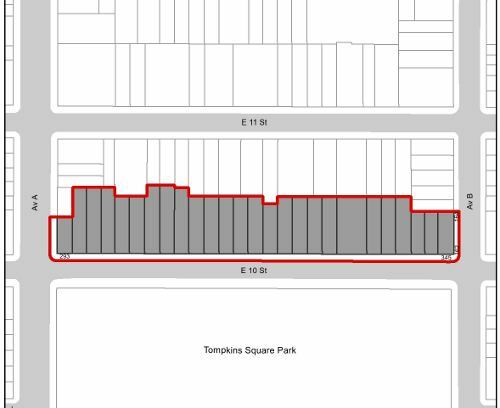 The LPC has yet to schedule a hearing for the proposed Lower East Side/East Village Historic District. This district will protect nearly 300 buildings from inappropriate alteration and/or demolition. Please email the LPC to urge them to set a date right away! Posted on June 29, 2011 at 6:03 pm. The EVCC has advocated for years for landmarks protection of the LES/East Village. In July, Community Board 3 voted to support the two proposed historic districts in our neighborhood. Historic Districts preserve architectural character and protect neighborhoods from inappropriate alteration, demolition, and out-of-scale development. The next step is a hearing at the Landmarks Preservation Commission (LPC). We will alert you when LPC sets a date for the hearing. UPDATE: The East 10th Street Historic District was designated by LPC on January 17th. 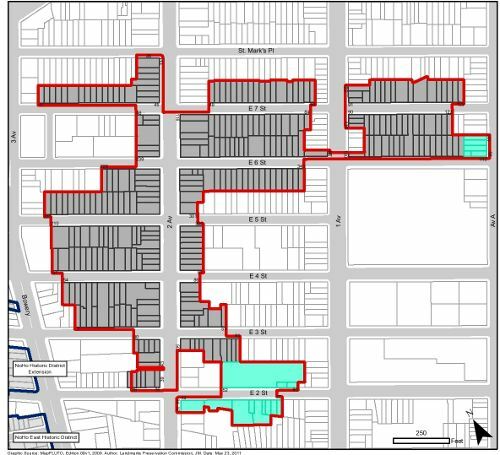 LPC has set June 26, 2012 as the hearing date for the proposed LES/East Village Historic District.